UCLG was invited to support UN Habitat and the Chinese Authority for urban planning (CAUPD) during a series of conferences and meetings on sustainable urbanization. As acknowledged by the Asian Pacific Economic Cooperation (APEC) urban sustainable development is necessary for long-term economic stability in the region that has seen an important real estate boom over the last decade. According to the National Bureau of Statistics of China, the net output of the construction industry grew at a 15 percent annual average between 2006 and 2013. Houses, roads and bridges have been built here with phenomenal speed over the past three decades with a monthly consumption of cement of 200 million, 3 per month, more than half of the world consumption. 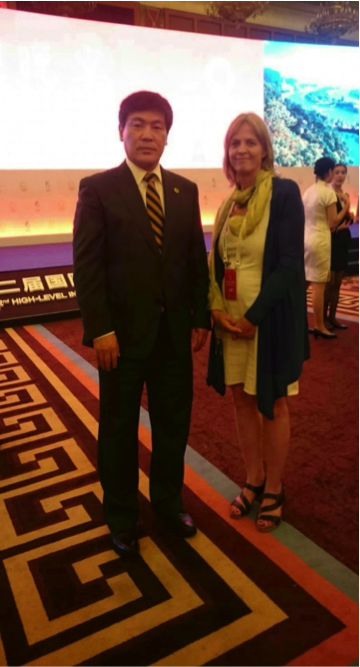 Lou Qiang, Mayor of Chengdu and member of our metropolitan section, hosted the sustainable urbanization forum. Over the last years, Chengdu grew very fast and now is looking into alternatives to green field development, in order to protect the land for agricultural purposes. The CAUPD may redirect urban planning as national direction of president Xi which includes a review of urbanization. Furthermore, growth through investment in infrastructure and real estate is one of the most pressing challenges related to urbanization. CAUPD is exploring the necessary changes to achieve sustainability, especially in terms of transport, redevelopment of central areas, protection of environmental resources and closing the rural urban dichotomy. The International Guidelines on Urban and Territorial Planning (IGUTP) are a key document for this purpose, and the expert meetings could be seen as a milestone and a start for further cooperation between UN Habitat and the government of China on this matters. CAUPD and UN Habitat also appreciated UCLG’s efforts reminding that in order to face the challenges of urban growth, it is necessary to involve stakeholders and citizens, and empower local and regional governments, especially in rural areas, where the focus will be in the coming years.